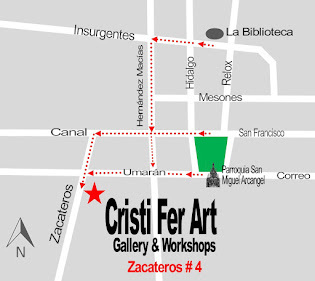 Cristi Fer Art Gallery and Workshops, in San Miguel de Allende, Mexico: Planning your trip to San Miguel de Allende? Add a painting class to your activities! Planning your trip to San Miguel de Allende? 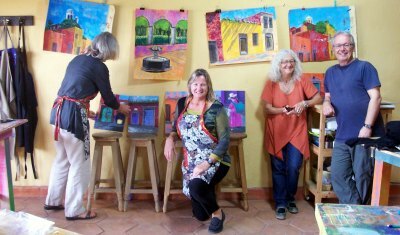 Add a painting class to your activities! Charming view if San Miguel corner! 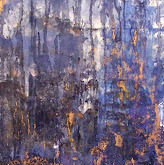 A NEW painting workshop at Cristi Fer Art Gallery and workshops. 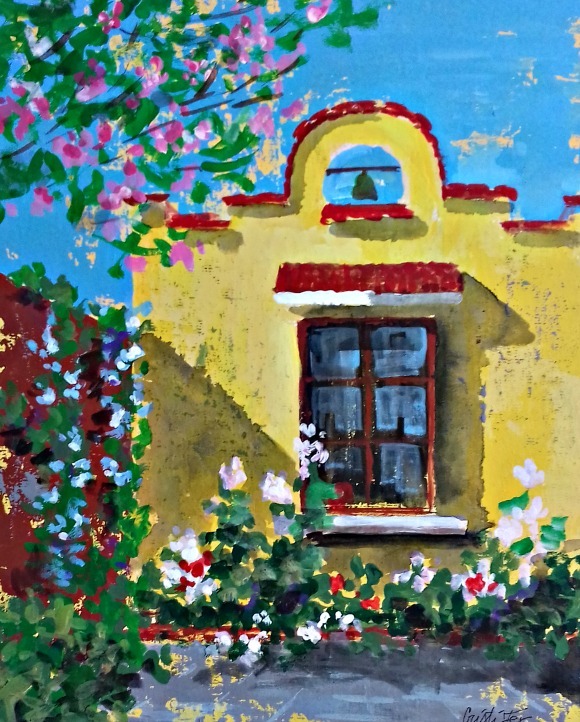 This workshop is great for individuals who attended the Tuesday workshop, Doors of San Miguel, or have some previous experience with painting or sketching. It is full day workshop, with all the materials included, and lunch also. The workshop it's offered every Wednesday in December 2017 and Thursdays in January 2018. Take home your own painting of San Miguel! Contact us ASAP for reservation since group is small, only 6 per class.